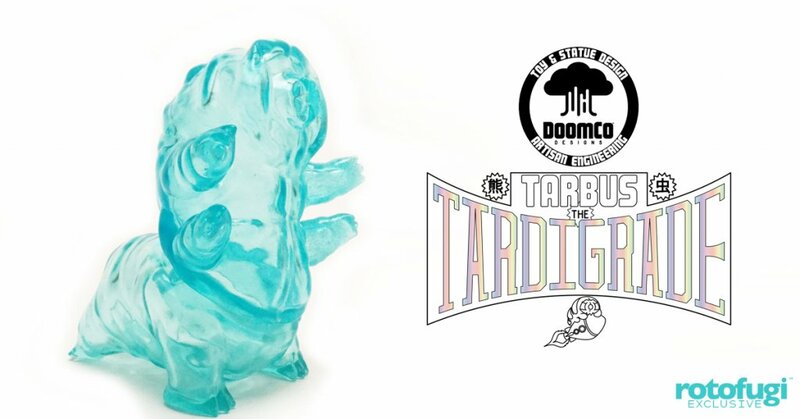 DoomCo Designs teams up with Squibbles Ink to bring forth the world’s first vinyl toy designed entirely in virtual reality… Tarbus the Tardigrade! Tardigrades (aka Water Bears) are microscopic creatures, remarkable for their incredible resistance to elements that would kill other species; it is, for this reason, they are thought to be capable of surviving the apocalypse! known to be among the most resilient animals on planet Earth. Tarbus the Tardigrade stands 3.25″ tall and is made of durable vinyl. Tarbus arrives glossy, unpainted, and ready for customization in this Rotofugi exclusive colour, Ice Blue.